1. Coming soon from Eduard is #XS-103, a set of canopy & wheel paint masks for the 1:72 Italeri / Revell H-19 Chickasaw. 2. The 1:72 VIP Hawk from Hasegawa, #00175, is scheduled for release in Japan on 13th March. The boxart shows a black aircraft with a broad white stripe running the length of the fuselage, and what looks like "United States Army Japan". The fuselage of the unusual color ring appears from the American Army. It is used, as one for transport of the VIP we reproduce the " VIP machine ". The knitting machine is the fuselage which is disposed to camp Zama. The color ring has become the two ton color of black & white, the atmosphere which one wind changed, settles is finished in the fuselage of charm. 3. Completely un-announced (except that a rumoured Testors issue was previously reported), Italeri have added another model to their 1:35 range, this time an OH-6A Loach, #382. I'm assuming this must be a re-box of the Dragon plastic. It comes with "detailed cockpit, cabin & rotorhead, 2 figures with miniguns & door guns, markings for 2 US Army OH-6As in overall olive drab". 4. David Campbell has re-launched his Hover Lover's website. 5. Unicraft's forthcoming Tsagi 11-EA Soviet 1920's helicopter will be in 1:72 scale and is close to release. Note that new Unicraft kits now normally come with decals included, though I don't imagine the decals would be very comprehensive for this aircraft. A number of Unicraft kits have been discontinued recently, but may be re-issued in the future in an improved form. 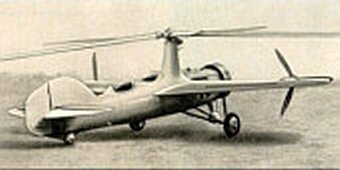 The only true rotorcraft currently available are the Baumgartl "Heliofly III", German Backpack Helicopter available in both 1:72 and 1:35 scale, and the 1:144 Focke-Achgelis Fa.284 Flying Crane, though there are some other peculiar items listed under "helicopters" such as the Zeppelin V-7 Feuerball. 6. Squadron Mailorder are offering a free Squadron / Signal UH-60 Walkaround book with each Academy / MRC 1:35 UH-60L Blackhawk ordered. Their description says "fully detailed cockpit and cargo compartment, rotor head, engines & landing gear. External tanks, chaff/flare dispensers, IR jammer & 2 x M60 MGs; almost 2 feet long with over 270 parts." The HH-60G Pave Hawk version is believed to be coming out soon after. According to FineScale Modeler, they are both due in March. 7. In addition to the Mi-8 PPA conversion set mentioned last week, Elefant also offer #C-002, which is the 1:72 Ciro conversion to make an Mi-17Z-2 AWACS, the one with a pair of kettle-drum antennae each side (illustrated in HKN #107). Same Elefant / Verlinden price warning applies. Avro 504K (as used by Cierva as the basis for various autogiros). 9. 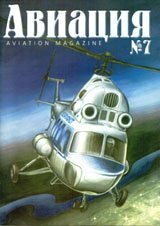 The seventh issue of the aviation magazine 'Aviatsiya' includes a very highly rated article on the Mi-2 'Hoplite' by the well-known authors Yefim Gordon and Dmitri Komissarov. It has 22 pages of text (in Russian), 7 colour and 78 monochrome photos (captioned in English), fifteen colour profile drawings: Estonian, Latvian, German, Hungarian, Polish, Soviet and Russian markings, and colour photos of hand-painted insignia on Latvian Hoplites. I understand that there will also be a full set of plans / drawings on a separate sheet. More details at Heliborne. 10. Airwaves / ED Models have their own website (at last). 11. Scheduled for the third quarter of 2001 is a 1:24 Huey Gunship from Revell-Monogram. This is presumably the old Monogram UH-1B in new clothes. I believe Sanger kits normally come with white metal parts and decals. Which reminds me to ask, what is a 'Harke' anyway? or is it just a word which someone invented ? 14. Alternatively, if you fancy vacforming your own, you might be interested in the range of table-top vacuum forming machines for modellers and hobbyists from The Kingston Vacuum Works. 15. In addition to the proposed 1:48 Sikorsky R5 / HO3S-1 from Fonderie, it seems they are also planning to release a 1:48 Vertol H-21 'Banane Volante'. This is listed in the March issue of Scale Aircraft Modelling. 16. The latest Tamiya re-box of Italeri 1:72 kits, available only in Japan, is #60761, the Ka-52 Alligator. Thanks to Yevgeny Borissov, Tony Morgan, and Igor Shestakov.